That time is long gone when just static images attracted potential customers. With the advancement in digital technology, it has become essential to think of new ways to capture consumer interest. This is where 3D animation comes in. If you want to sell property, you need to create a strong visual impact on the buyer. The impact should be such that it not only keeps the customer hooked but it converts potential leads into sales too. Only a 3D building design can do that. 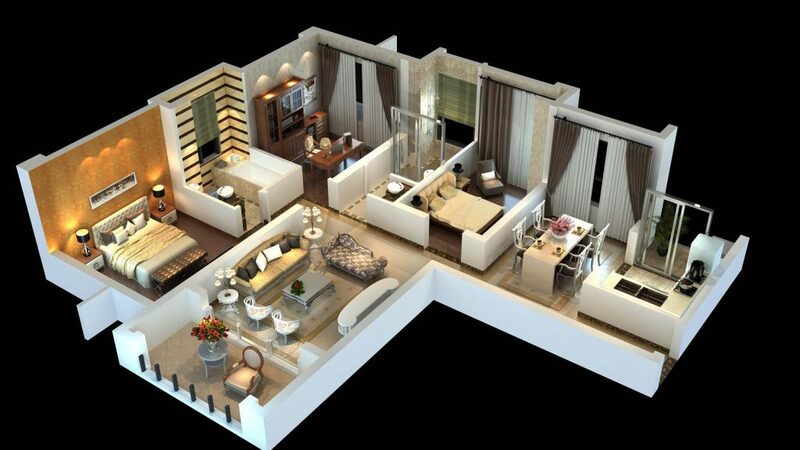 3D animations have the ability to convey your ideas of design to the buyers in a simple and enticing way. They can see how the property will actually look when it is ready for possession. This makes it easier for them to decide to buy it. With 3D animations as your promotional tool, you can leave your target audience spellbound. You can mesmerize them with top notch animations that will leave them impressed. Try to get in touch with a good 3D Animations Developer. They will tell you how you can use 3D animations to increase your sales prospects. At WeDrawfast, we aim to provide top class 3D animation services to you so that you get a boost in sales. We create animations that depict your property from different angles with lighting effects, movements and transparency. This creates a strong visual impact on the customers. With years of experience as 3D Architect Home Designers, we have a good idea as to how to go about the process of creating wonderful animations. If you see our past success records as 3D Architects, you will see that we have left no stone unturned to make the best animations that capture attention immediately. We have so many ideas that we are ready to share with you for your benefit. Just come to use and see what wonders we can do for you. We have state- of- the- art animation tools that allow us to provide you with fast turnaround time on your project. Quick and quality service and is a part of who we are. Our designers are experts in the art of 3D animation. They have a deep knowledge of all the software and they stay updated with the latest technological changes. Our highly experienced animators have the passion, skill, and expertise to drive your project forward from; concept-to-completion, we move your idea forward with innovation and speed. We ensure that whatever data you entrust us with stays secure and protected. We never take anything lightly when it comes to the matter of data security. So you can rest assured that your data is safe with us and that there is no risk of leakage. So what are you waiting for? Take the advantage of 3D animations for your business and see how it benefits you!